I know this has been posted before, but it is worth repeating for those of you that missed it the first time around. This is what the ‘ICE’ (In Case of Emergency) Campaign aims to address, and the concept is catching on quickly. It is a method of contact during emergency situations. As mobile phones are carried by the majority of the population, all you need to do is store the number of a contact person or persons who should be contacted during emergency under the name ‘ICE’ ( In Case Of Emergency). Emergency Service personnel and hospital staff would be able to quickly contact the right person by simply dialling the number you have stored as ‘ICE’. 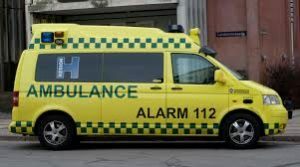 112 is the emergency number recognised anywhere in the European Union, including England, Scotland and Wales. Further afield, this number is recognised in 70 countries world-wide, including America, Australia, Canada, India, and Pakistan. When you dial 112, your phone will connect with any available network, not just the provider you are contracted to. If the network is busy, your call will be prioritised as important. Furthermore, most mobile phones have security protection which prevents a stranger for accessing the information held on them. 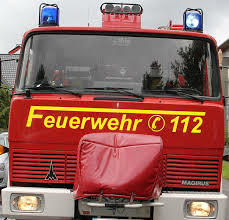 This emergency number, 112, bypasses any security. You can dial 112 on any mobile phone, even if there is no credit left, and on some phones, even if there isn’t a sim card. Some additional tips for mobile phones can be found here.